High-energy physics experiments have to process huge amounts of data every second in real time. 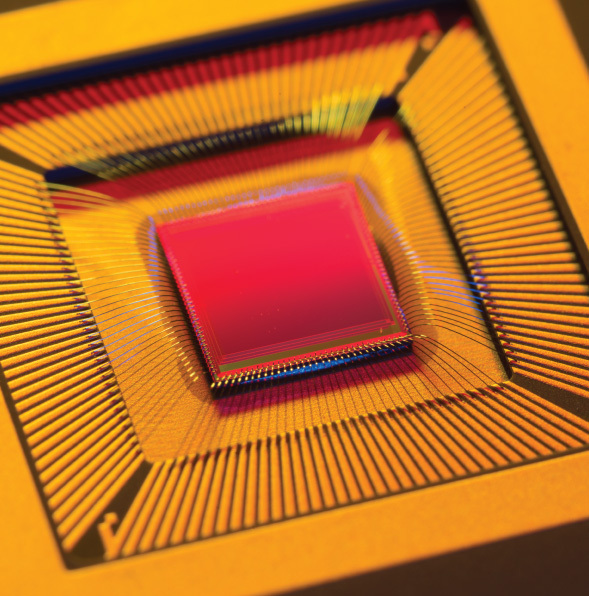 A new form of pattern recognition technology is needed, capable of dealing with enormous data streams and filtering backgrounds from the physics signals in which scientists are interested. Fermilab has developed a high-speed flexible pattern recognition system containing two vital innovations. VIPRAM (Vertically Integrated Pattern Recognition Associative Memory) uses 3-D vertical integrated chip technology. 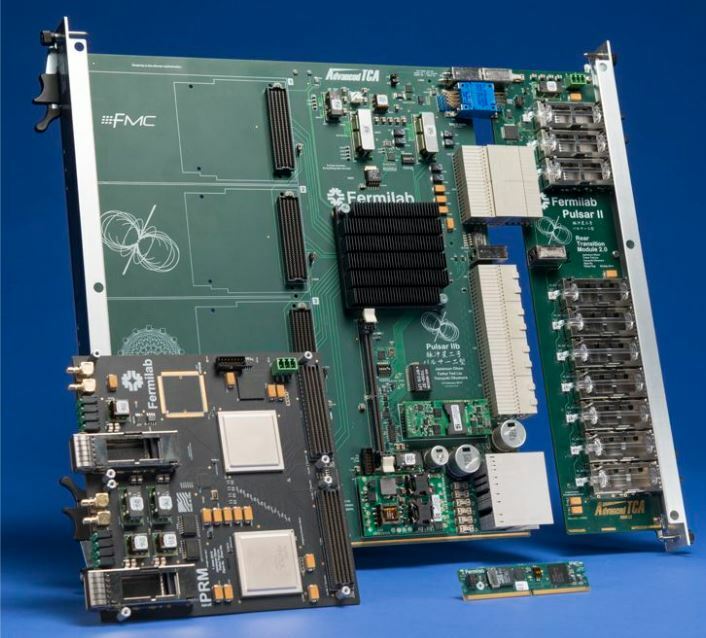 The PULSAR-II processor has terabits per second data processing capability and can host a bank of VIPRAM chips, in order to rapidly recognize user defined patterns in big data applications. 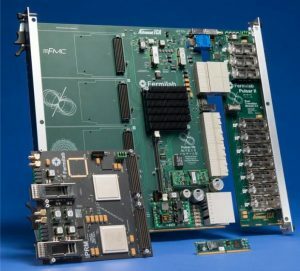 The Pulsar IIb front board, RTM, IPMC and PRM mezzanine.